This was and still is a very social happening that can take place no matter where in Buenos Aires, in both a bar or a sports room. Participants gather just for the fun of meeting, for a chat, to drink something… and to dance. 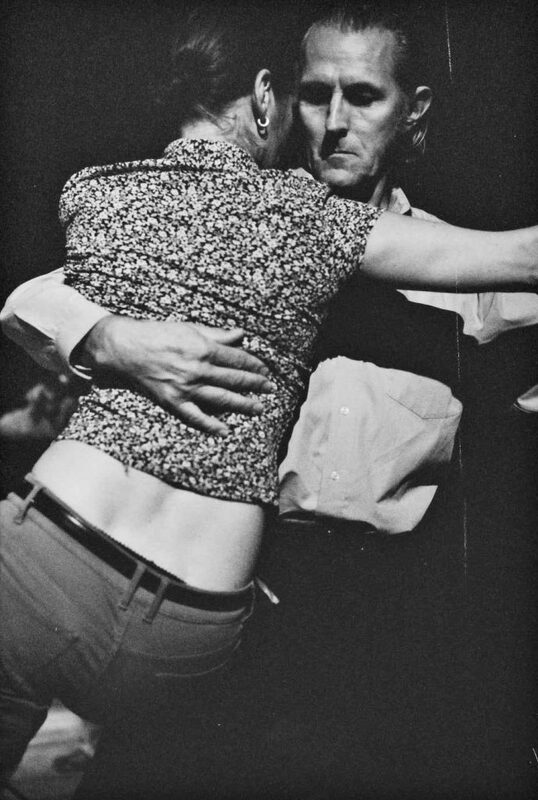 Age, social class, experienced or not, good or bad dancers: everyone can join in on the dancefloor, as long as certain codes are respected. On the crowded floor, couples dance modestly while respecting each other’s dancing circle. The man improvises, while the woman reacts gracefully on his movements. Together they let the music guide them across the dance floor. Moreover, real ‘tango de salon’ has nothing to do with the cliche image that we know of the tango we see on tv or in a show: two dancers who want to score on each other and on the public, with longing looks and preferably a red rose between their teeth. Recuerdo honours the tradition of the authentic tango de salon. It’s this sober and emotionally profound dance that they pass on in their classes. 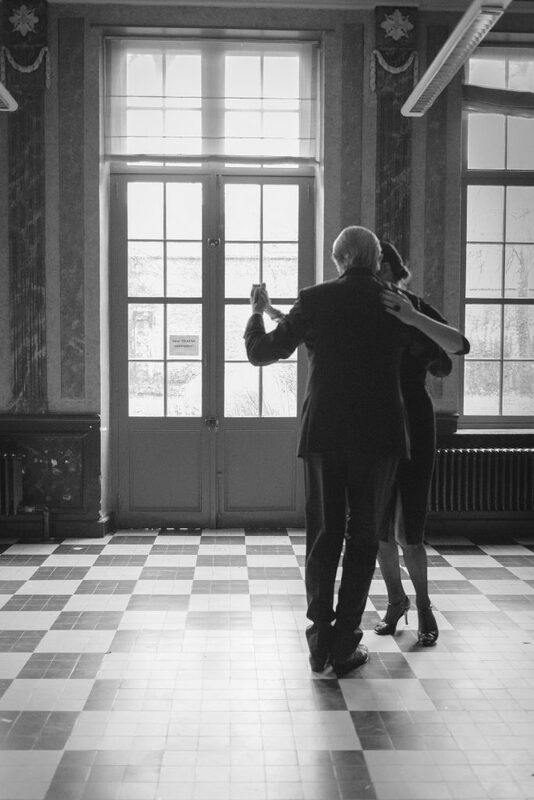 Other rhythms that you hear in a tango salon such as milonga and tango waltz are being taught in the school as well. or “tango enscenario”, the tango on stage, or the tango that is danced for a public. This kind of tango is all about the show element and is often beautiful to look at. On the contrary to the tango de salon, which can be danced by anyone, tango espectaculo is mostly danced by professional dancers who perform choreographies they specifically studied for this occasion. They play with the entire space. The figures are complex and enlarged, sometimes you see a jump or pirouette. Everything is staged from the first to the last note. Next to tango and milonga, there is also the tango waltz, of which the exact origin remains unknown. Back in the day, classical European dances like mazurka and polka were very popular among the bourgeoisie in Buenos Aires, and the waltz was presumably introduced here too by the Austrians. Out of this, tango dancers created their own version: the tango waltz. Due to the rise of pop music in the sixties, the interest for tango slowly disappeared, and a whole generation of dancers didn’t participate anymore in this episode in dance history. 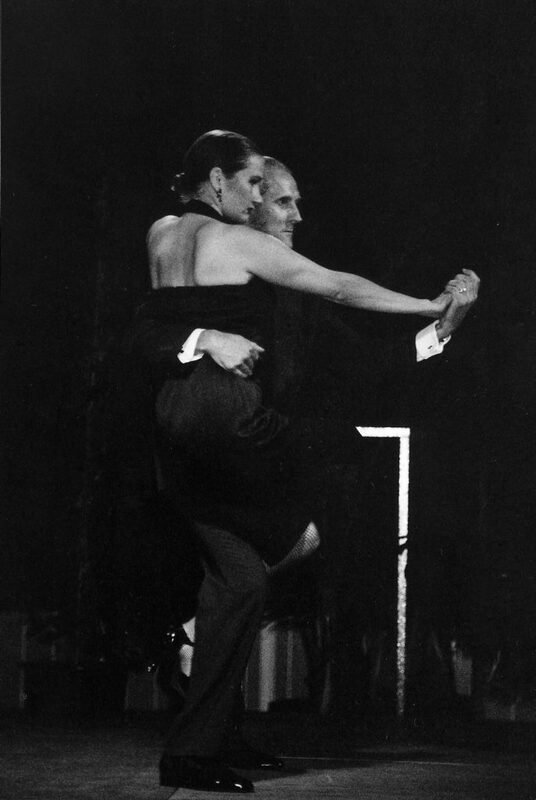 When in 1983 the show “Tango Argentino” is touring through Europe, tango becomes however for the second time trendy. This time no European ballroom tango is derived from it, as was the case in the twenties of the previous century. But this time the European public wanted to learn the real Argentinean tango. Or at least the one they saw on stage. And that’s what turned out to be troubling. A show dancer on tour presumable knows the difference between dancing on a stage and dancing in a tango salon. But during the few workshops he gave during his tour, it turned out to be quite challenging to pass on this knowledge. For the most of them the choice was easy made: teaching a show figure, in stead of the long way of introducing the student in the tango de salon. That’s why in the nineties often show figures were danced in Europe, simply because one didn’t know any better. You even had to watch out carefully while dancing, since few people were aware of the authentic codes of the tango de salon on the dance floor. There were flashing voleos and ganchos, an overload of show figures and dance couples that were bouncing in all directions. Tango was young in Europe, and this was the start of the tango boom: schools and salons started to pop up everywhere. Argentinean tango teachers were invited to Europe and different trends seemed to come and go. 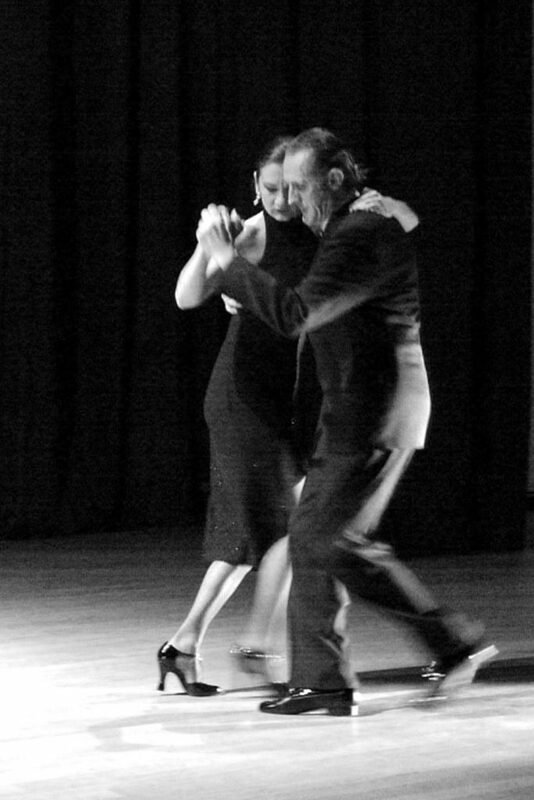 Since 2009, tango has been recognized as world heritage. Unfortunately this international status didn’t always lead to interesting results: the exploitation of the genre as a commercial product has never been bigger than today. Titles and championships led the wealthy tango tourist to Buenos Aires, the tango Walhalla. Every European metropolitan city organizes prestigious tango festivals on exclusive locations, on a yearly basis. Where once there were only a couple of tango maestros, there now are hundreds. Tango has become a profession. Young dancers have a classical dance background and train for hours. The focus lies on technique and virtuosity, in spite of the emotional experience and the personal touch. Every dance has become incredibly ingenious, but at the same time they all look very alike, with every now and then some exceptions or highlights. Due to this, modern tango can often look quite artificial, almost as some sort of separate sports discipline. Moreover, the connection with ballroom dancing seems to be present again. This trend unfortunately also continues within the tango salon. The improvisation that once was so inherent to this happening, is starting to lose its naturel and spontaneity. And that while in a tango salon the focus is not and has never been on the “perfect” performance. The essence of tango, which is a shared emotion or a personal dialogue between two dancers, is quite contrary to this tendency of standardization.